In our previous articles, we have created and deployed the package to both of the following slots. 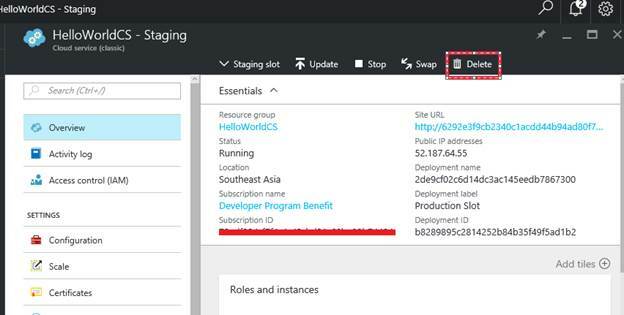 Now that you are done with promoting the changes to the production, you don’t need to have the Staging Environment in Azure until we get a new requirement. So, in order to reduce the costs, we can go ahead and delete the Staging Environment. 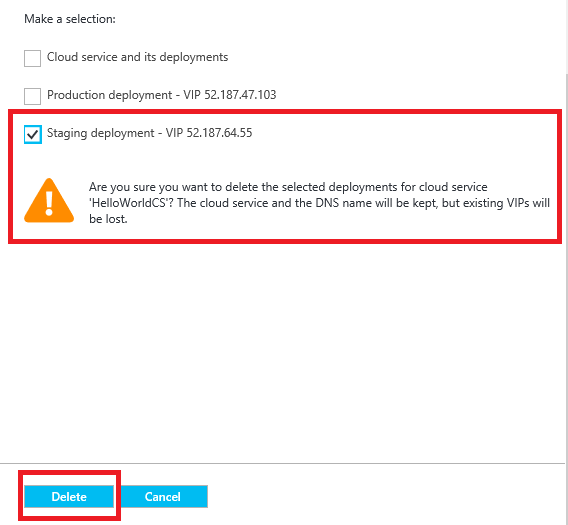 Let’s see how to delete the existing slots of the Azure Cloud Service. Navigate to the Cloud Service, as shown below. Click on the “Delete” button highlighted in the above screen capture. Clicking on the “Delete” button will show the following blade. It allows you to delete the entire Cloud Service or any of the individual slots. In our case, we just wanted to delete the Staging slot. Let’s go ahead and check the Staging Slot, as shown below. 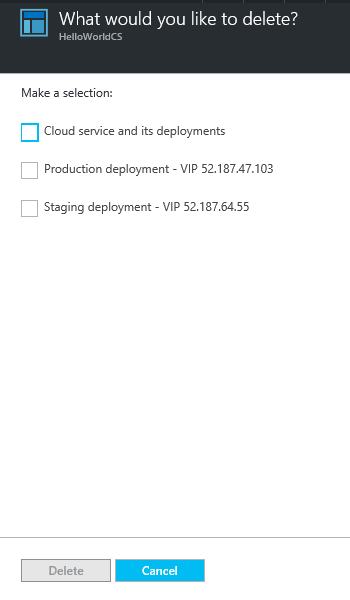 As soon as I selected the Staging slot related checkbox, an informational message is displayed, as shown above. Just click on Delete button to delete the Slot. 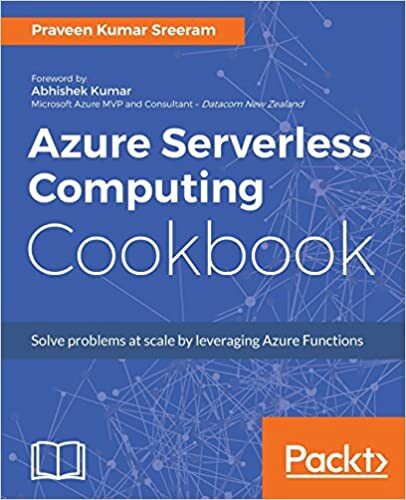 So, we have learned how to delete an existing Slot or the entire Cloud Service. Hope you enjoyed the article. Your feedback will be highly appreciated.